Gravix is a puzzlegame utilizing gravity and the accelerometer in the iPhone to present the player with fun and challenging gameplay. 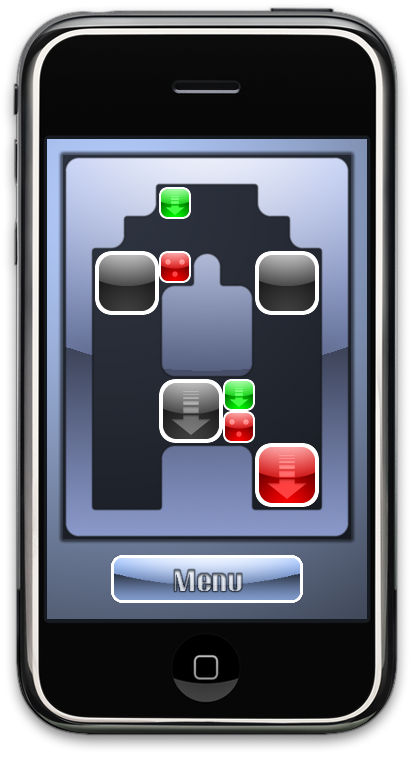 To play Gravix you tilt the iPhone to change the gravity of the level and then tap blocks to release them from their position, thus falling in the direction of the gravity. 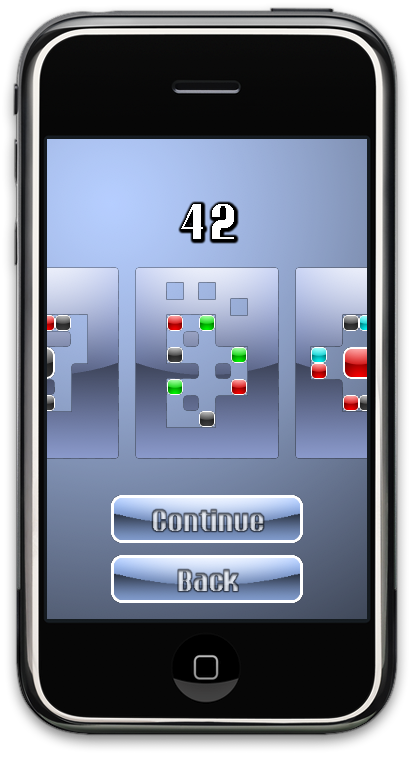 Match same colored blocks to remove them and make sure you remove them all to clear a level. This game is easy to learn and play but will require some proper brainwork to complete. We hope you will enjoy playing! For more screenshots and other media. Visit the Gravix Media page. Buy the Full Version of Gravix here. Get the Trial Version of Gravix here.